I’m back on my family vacation, and now we’re back in Kuala Lumpur. We stayed at my mother in-law’s sister house. 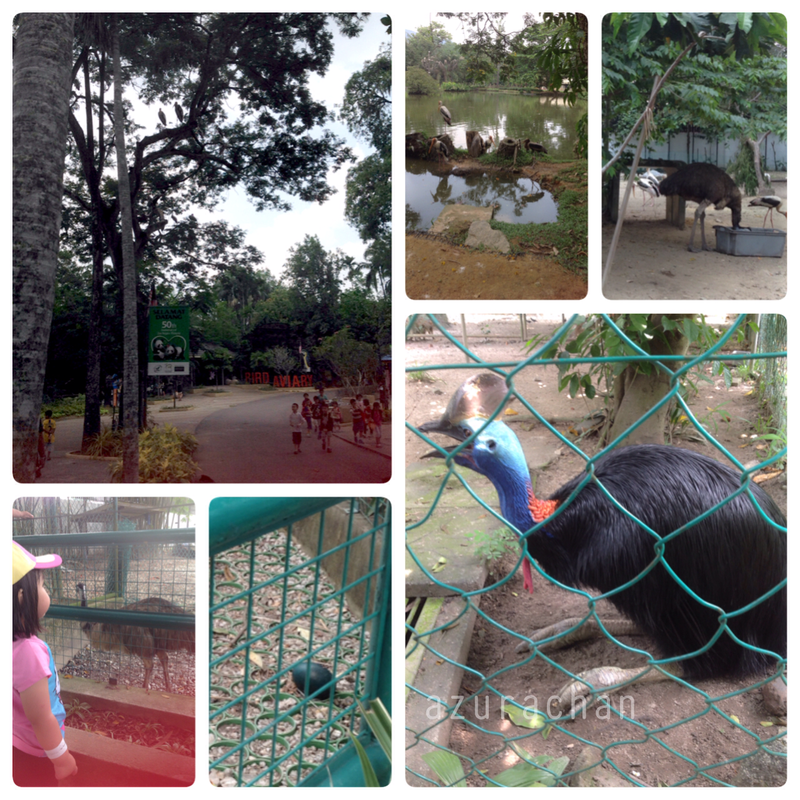 The house is situated just near the Zoo Negara, Malaysia. 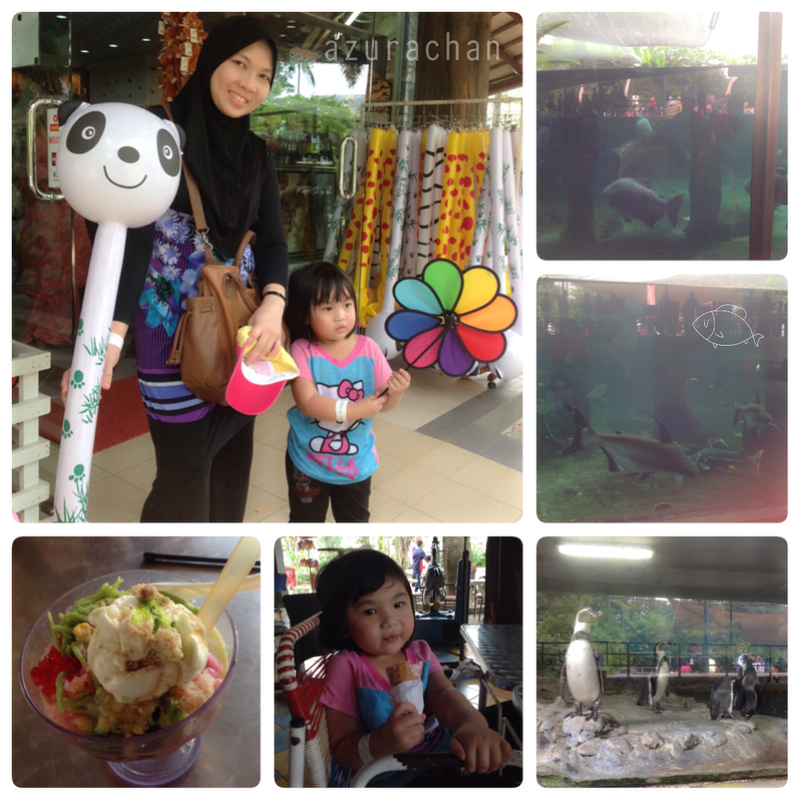 Therefore, we’ve made a plan to visit Zoo Negara. It’d been my childhood dream of going to the zoo. I know that my parent couldn’t afford to bring us to go there before, so I just kept my dream as a wish. Then, this lucky girl fulfill my wish. 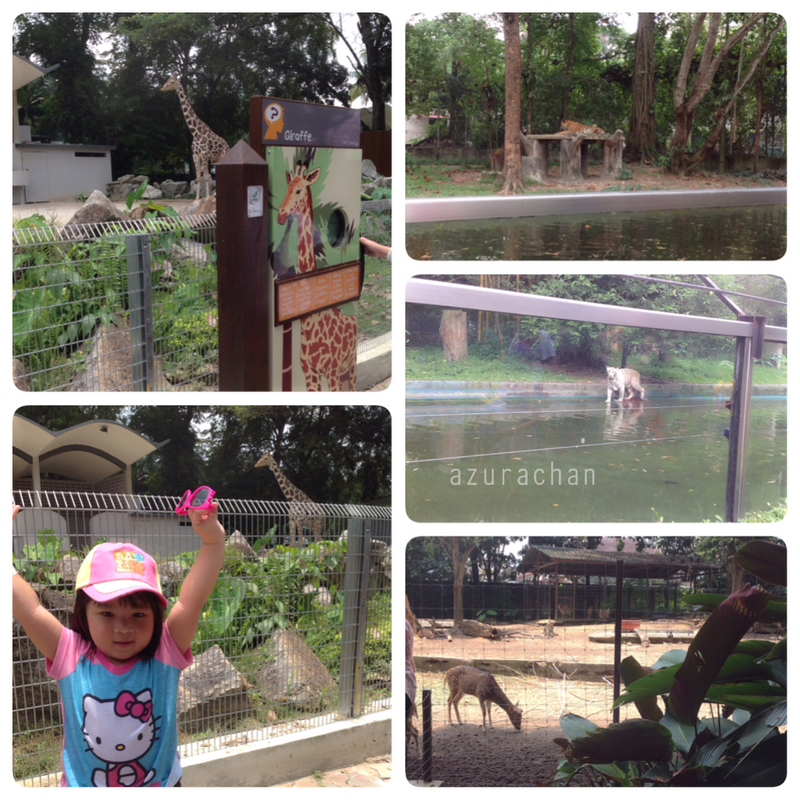 If it does not because of her, I would never come to Zoo Negara. We arrived around noon and the place was packed with people. The ticket was so pricey. Most probably because it was school holiday, they had doubled the price. 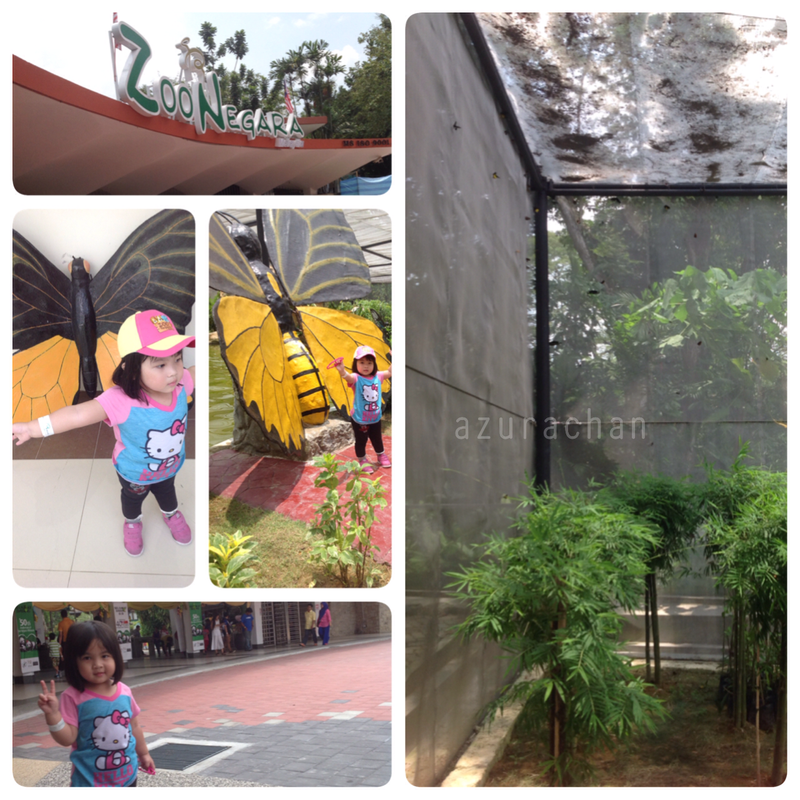 Our first stop is the Butterfly Farm. There are so many different species of butterflies that you can find in there. Unfortunately, neither one of it would want to perch on our hands. Unlike my parent in-law and my brother in-law, the butterflies love them I guessed. And then we walked along the Bird Aviary. There are so many bird species you can see at the very close range. Can you see the green egg on the picture? It was an Emu’s egg. I thought it was a stone in the first place. Lol! There is a realy big bird sitting, which I wasn’t sure what type of it. It looks like an ostrich, but it has a blue, red colour…. Yeah, saw the name on the signboard but I have forgotten it now. Lol! I think it was a cassowary. Amani loves the idea of doodling the giraffe, without knowing or seeing the animal for real. So that day, she was so lucky to see the giraffe in real. She was so excited! It was my first time too. I found that the giraffe was so beautiful. 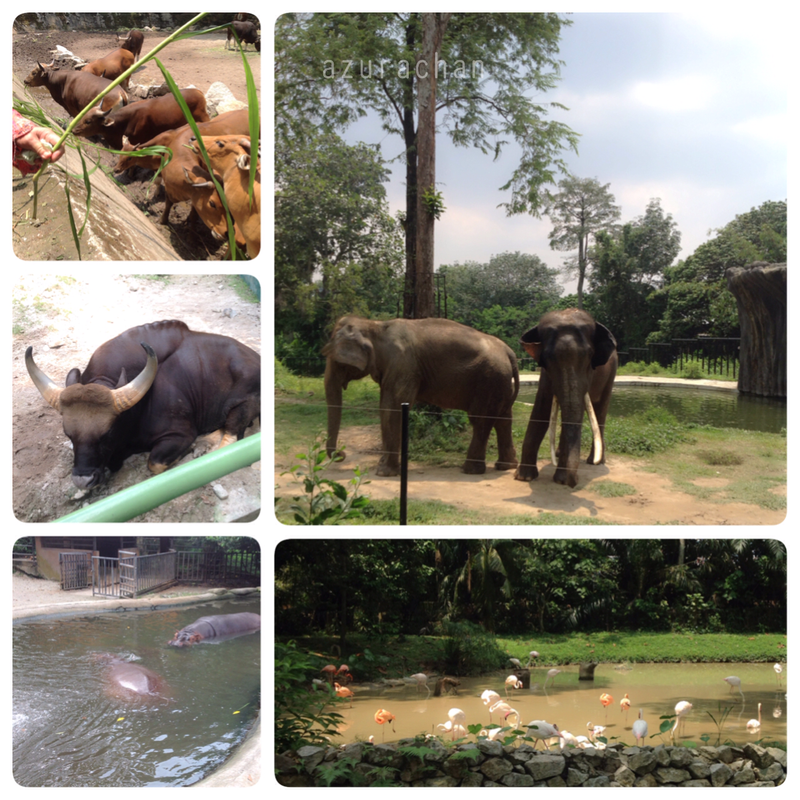 We also got to see the lions, tigers, tapirs, deers, and white tiger. The white tiger (Bangal Tiger) was so scary to see. It looked so fierce and watching us from it’s place. Amani told me she was scared to see that animal. huhu. To our astonishment, one of the elephant started to swing it’s body left and right. Looks liked it was dancing! When we snap a picture of it, it stoped dancing. What a clever animal! We really enjoyed the show. Hehe. Our last stop is the aquariums. There you get to see so many big fish. Looks unbelievable but they were extremely big! And the penguins too… I bet you are asking me where is Panda? For your information, the ticket to watch PAndas are different rate with the normal ticket. So we just bought the normal ticket instead. No Panda, no meaning going to the zoo? Nevermind, I still can take a picture with the balloon panda. Lol! 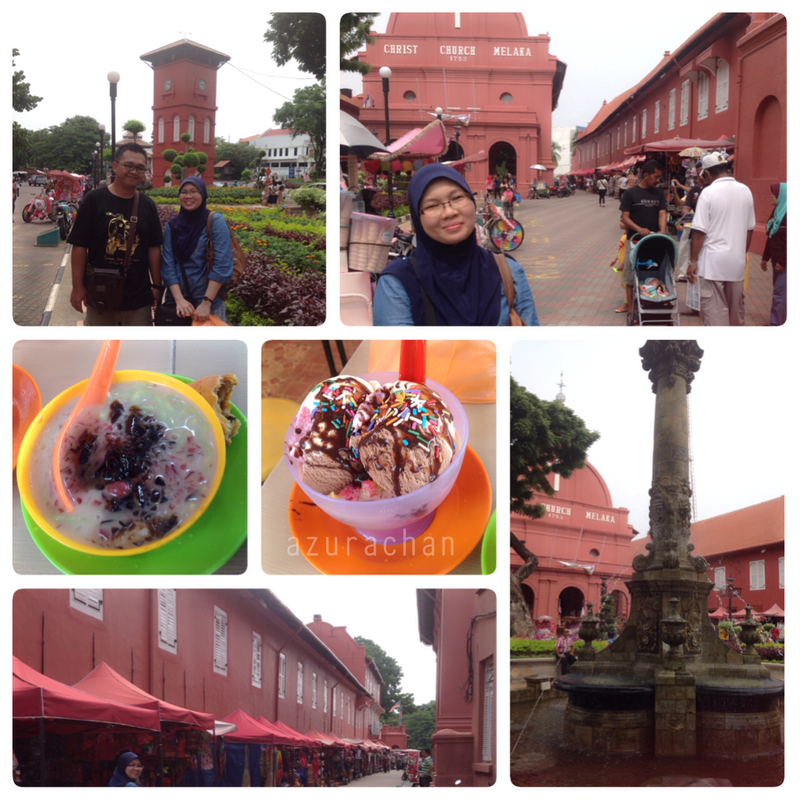 Have you been to Malacca (Melaka)? Well, this is my first time going to Melaka. Of course I was so eager to see the historical place. 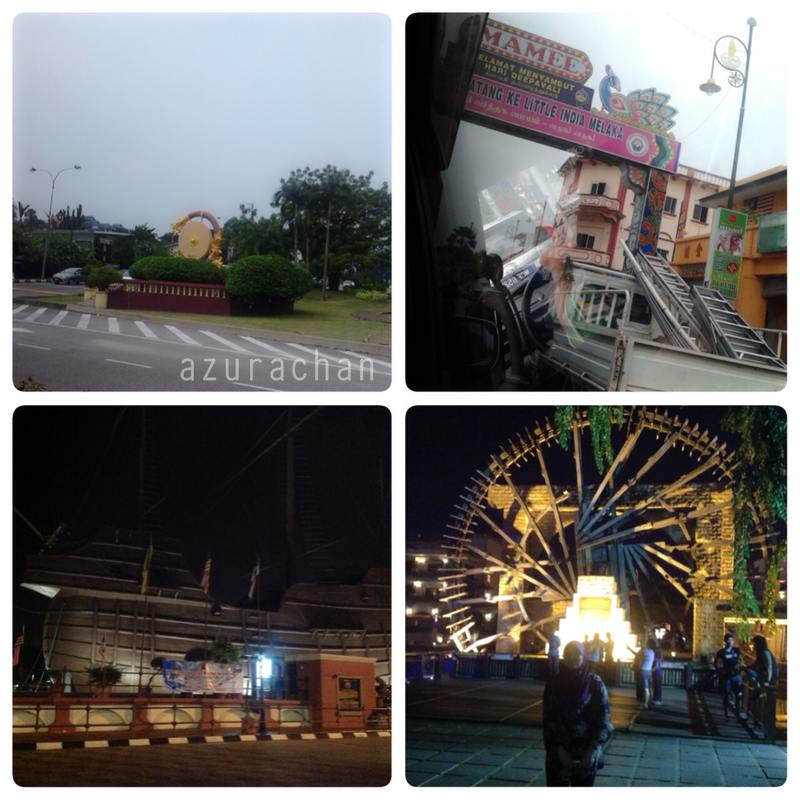 As planning, we went to Melaka using the inside route, meaning that we were avoiding using the highway. We arrived in Melaka at about 8pm. Straight away check in the hotel for an overnight stayed. After that we went to the nearest hotel to fill the grumbling tummies. Hehe. 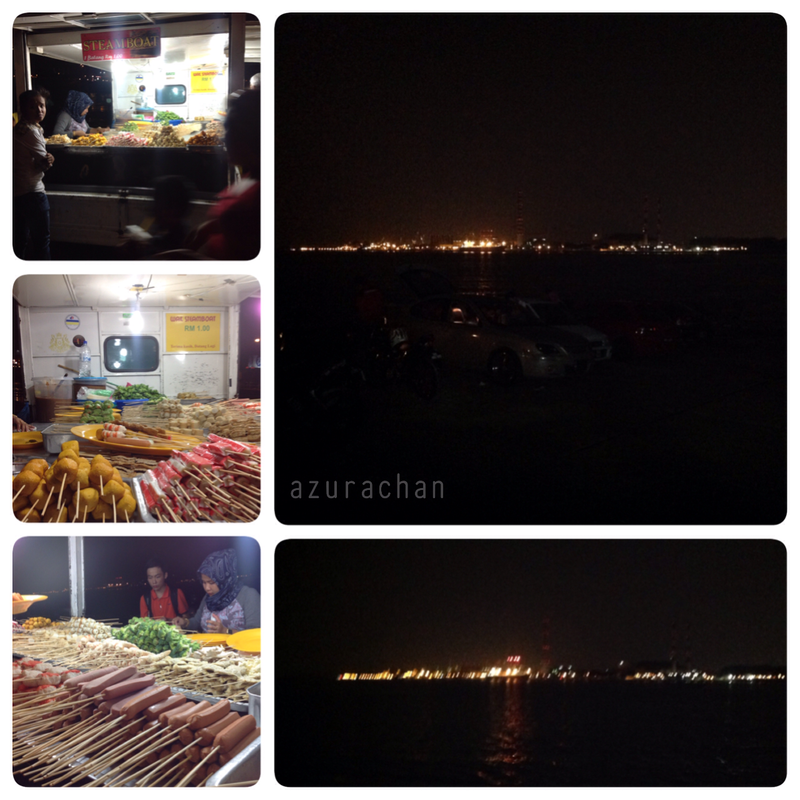 At 10pm, we went to the Melaka city center. 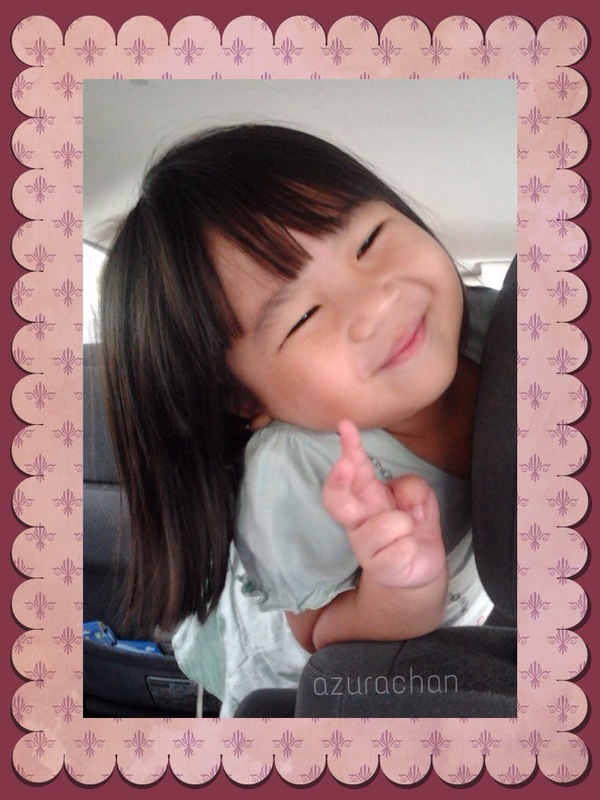 The first thing Amani saw was the attractive ‘beca’ (trishaw) She insisted on riding the beca. They really knows how to attract the tourist, especially kids. One thing that made Amani wanted to ride it is because the beca was in pink colour, and has Hello Kitty attached everywhere. The beca ride cost RM25. 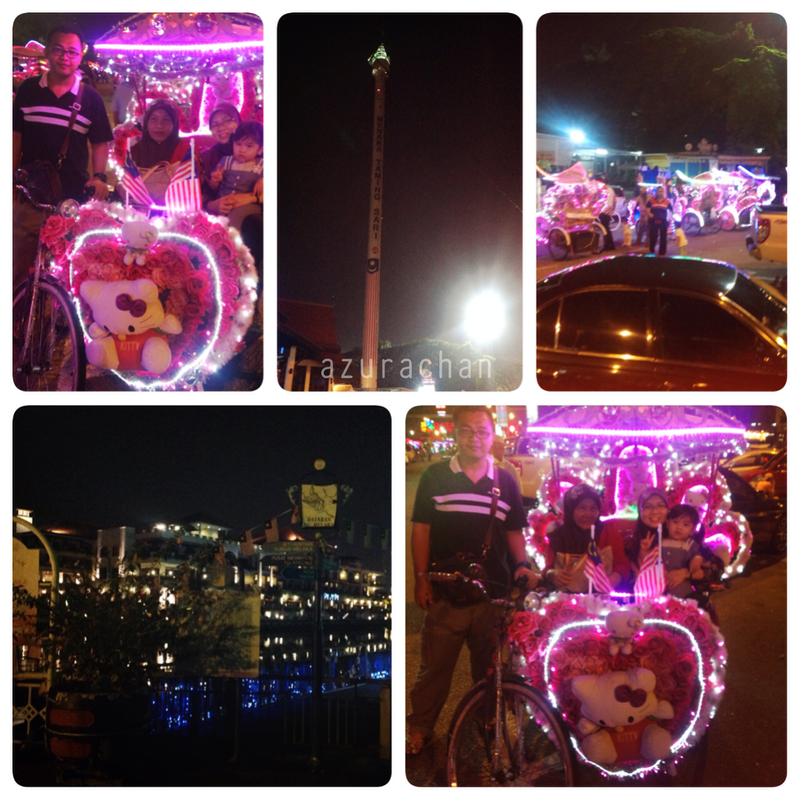 he rode us around the ‘dataran’ and he while riding he told us about the monument, the place that we should visit in the daytime. Did you know the beca has speaker on it? Some becas were spinning the hindustan songs, old Malay songs… Luckily our rider was a young man. He spinned a Frozen song for Amani. 😄 To make the story long… Amani didn’t want the beca to stop. She cried when we had to go back to our hotel. Like a nightime, the becas are everywhere. Once again, Amani wanted to take a ride with beca. I surrendered this time, so I just let my parent in-law brought Amani. My mother in-law told me the ride was different like last night we had. Only a few places to visit. I heard some people told me that some of them likes to cheat the tourist. This is really shameful to our country. If it not because of Amani, I wouldn’t ride the beca as well. Hehe. 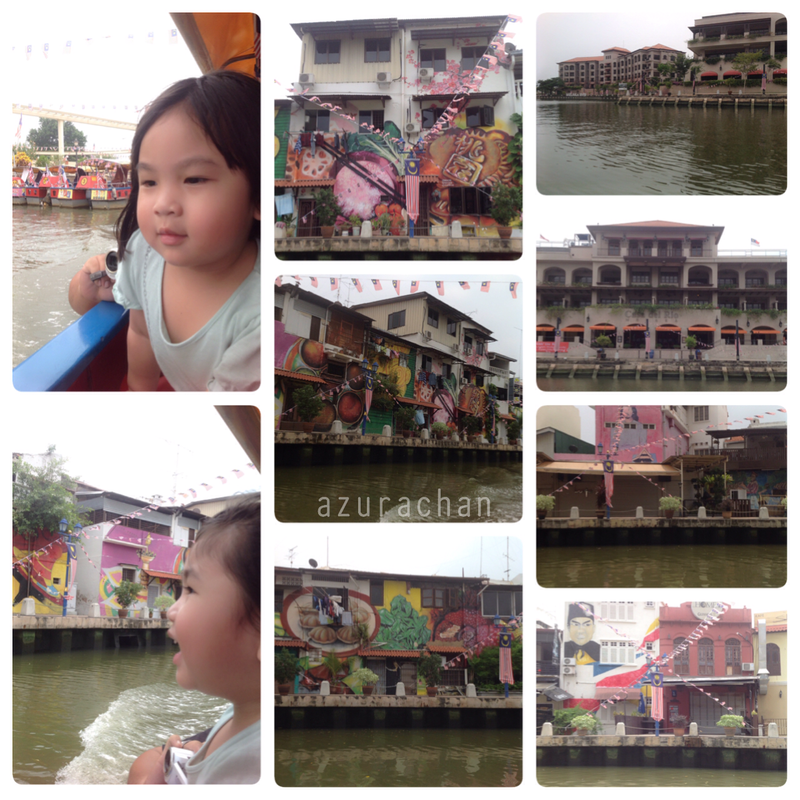 Our next activity were taking a tour with the Melaka River Cruise. 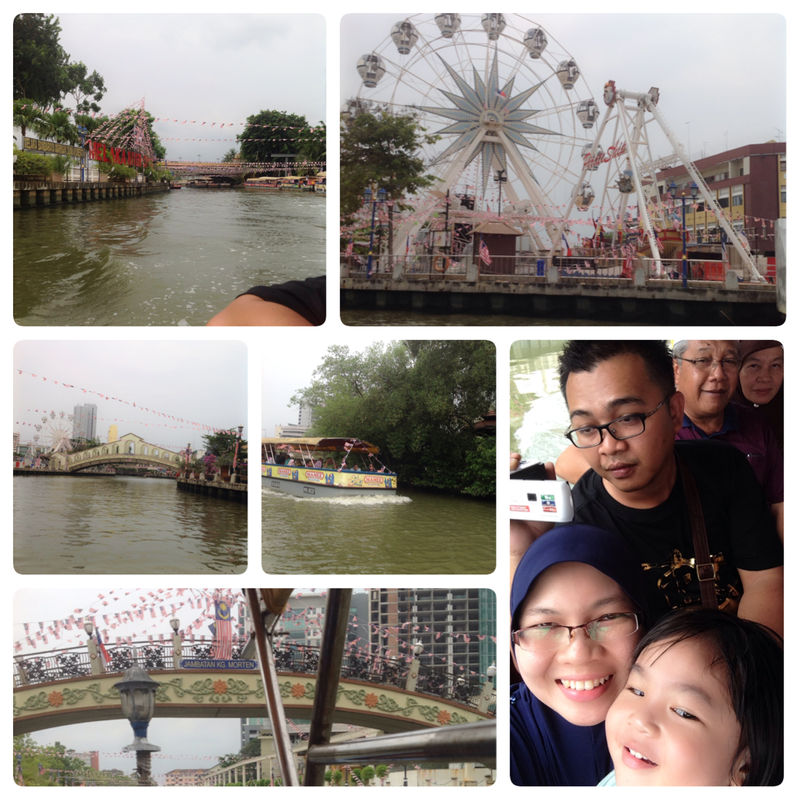 It is 45 minutes ride on Sungai Melaka (Melaka River) with audio commentary. The river was the main artery of trade for Melaka in its heyday when it was bustling with traders from all around the world. The cruise offers new perspectives of the historical city centre, Chinatown, Kampong Morten and other places in Melaka. Amani really excited to see the water. Whenever a boat passed by, she would shouts “Bye-bye!” to the other visitors. The colourful buildings (murals) really caught my attention. Very creative! All of my dream was taking photos at the ‘red buildings’. It’s like a trademark that you have been to Melaka. The first picture is a background of the Red Square, also known as Dutch Square. 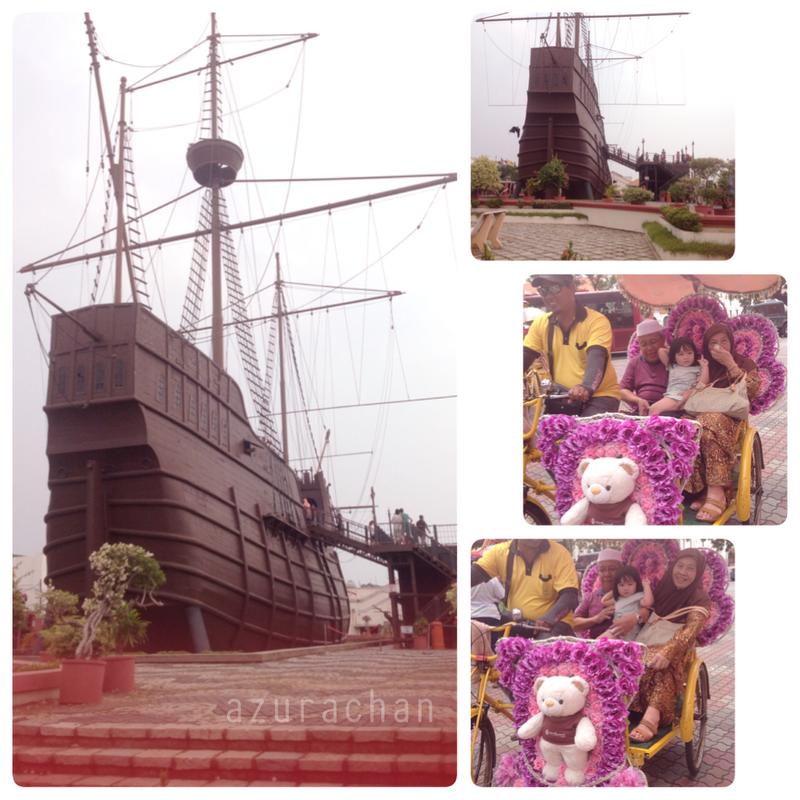 It dated from the 17th century and reflects the history of Melaka from Dutch colonization till today. The second picture is the background of Christ Church Melaka. It completed in 1753. The bricks were specifically shipped in from Holland. At the bottom of the picture, I was walking along the Stadthuys – Museum of History and Etnography. It is the oldest Dutch colonial building in Southeast Asia. Lastly, there is a fountain in the middle of the park. Queen Victoria Fountain – Built in 1904 by the Melaka people in memory of Queen Victoria Regina. It was exhausting wandering the places. So stop by at the Cendol stall across the park. Me and DeaDear were having Mix Cendol and Ice-Cream cendol. Ahhh…. very soothing. hehe. Off we go to Kuala Lumpur. 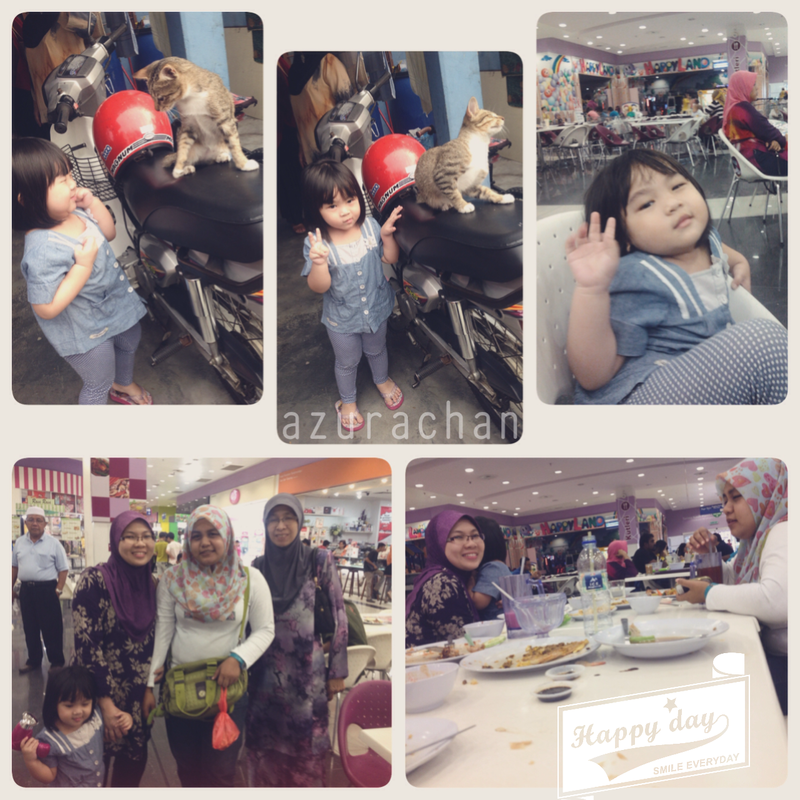 We did stopped by at Seremban, Negeri Sembilan to have dinner. My mother in-law sempat borong another veggies at the market. Hehe. 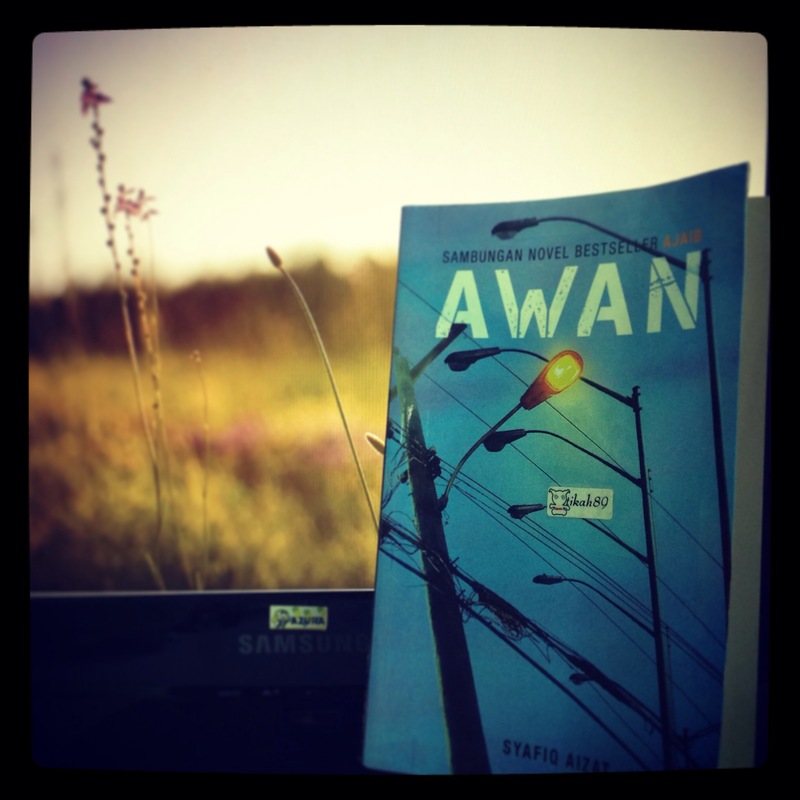 I am going to continue our journey from Pontian to Johor Bahru (JB). 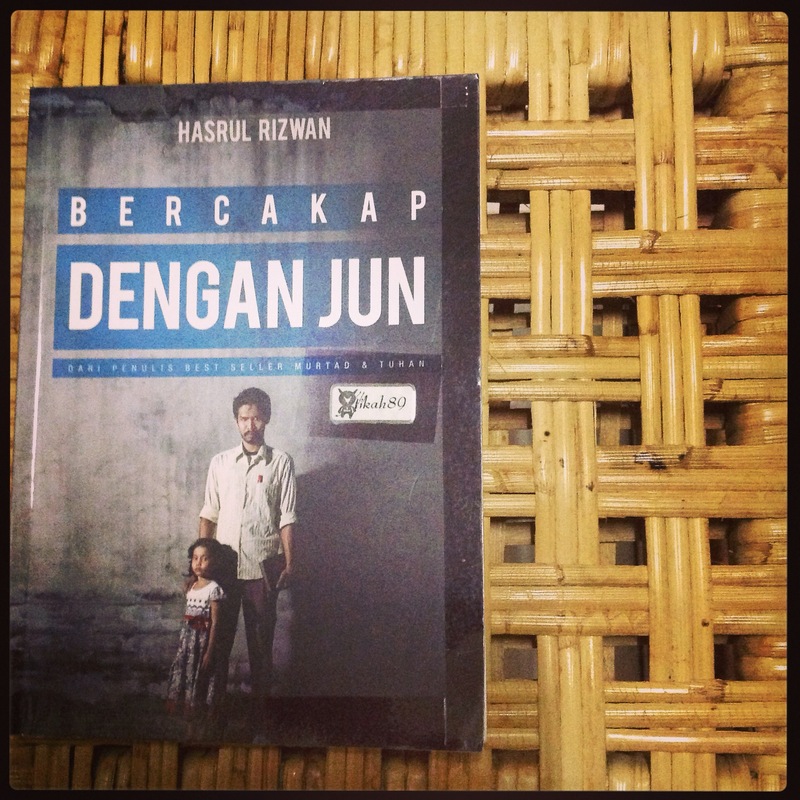 Before going ahead to JB, my father in law showed me his old house, school and some places he grew up. If I’m not mistaken, the name of the place is Kukup. We also visited his uncle’s house and after that heading straight away to JB. Around 3 pm we started our journey going to Melaka. My father in-law insisted on using the village road, instead of using highway. In that case, I got to see some places in Johor. We also stopped by at Air Hitam. Air Hitam is look likes a Serikin to me. Mini shopping heaven for people like me. I bought some ‘kerepek’ from Johor and not forgetting the English Rose Mugs. 😂 Can’t help it! RM2 for each mug. How can you resist it? Lol! I also bought some Johor Signature T-shirt for souvenirs. My mother in-law ‘borong’ some veggies. The price were very very cheap compared to our place. Hehe. Sorry for a long silent from me. I am now touched down the land of hornbil after spending 12 days at the Peninsular Malaysia. It was a family vacation indeed. 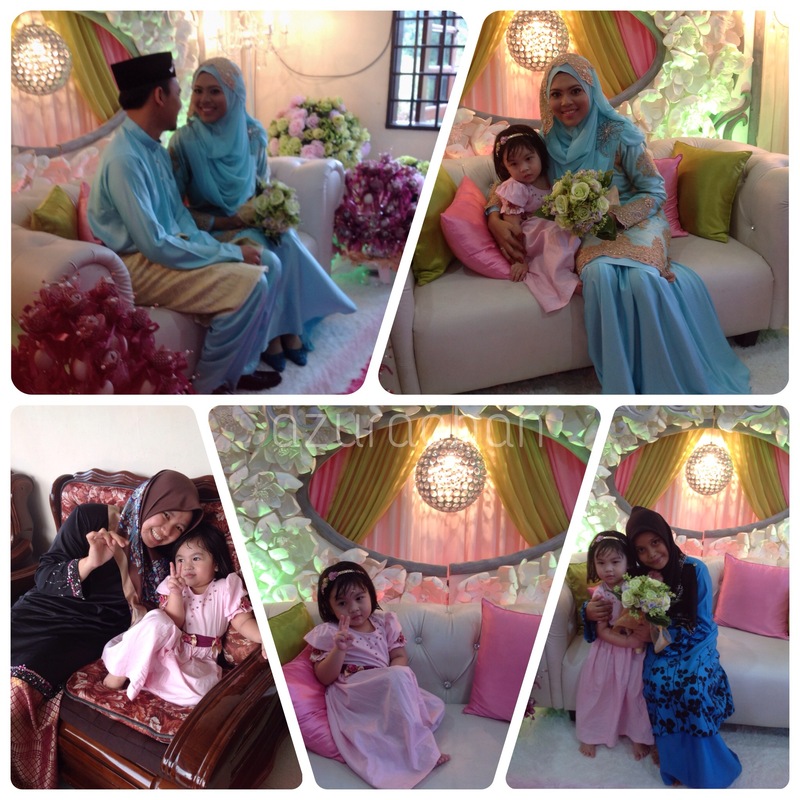 We were attending my father in-law’s niece wedding at Pontian, Johor. It was my first time coming to Johor. All this while I only went as far as Kuala Lumpur only. Really a homie person, muhuhu. 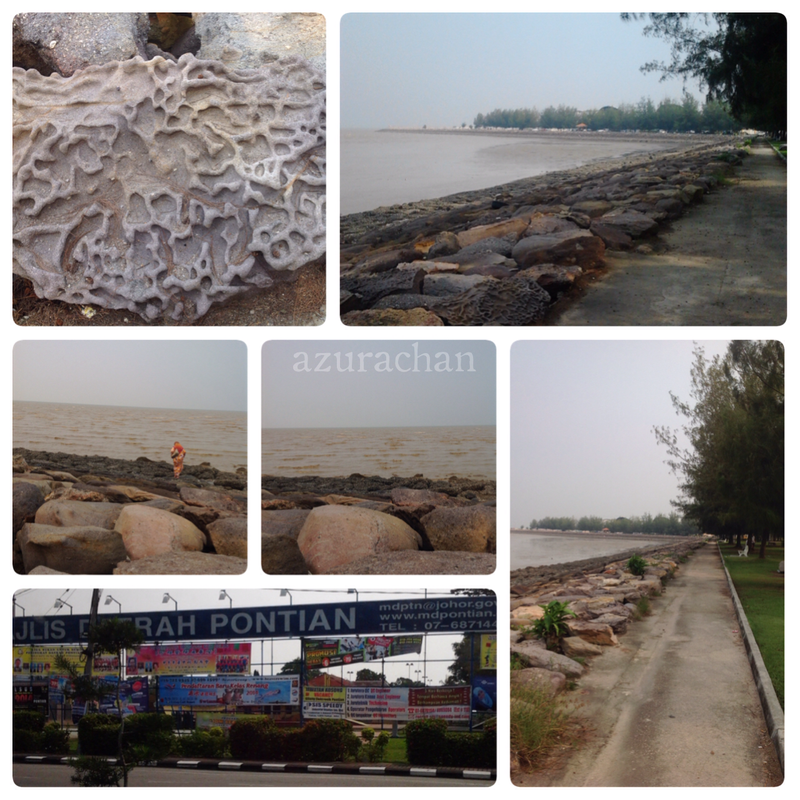 We spent three days at Pontian. 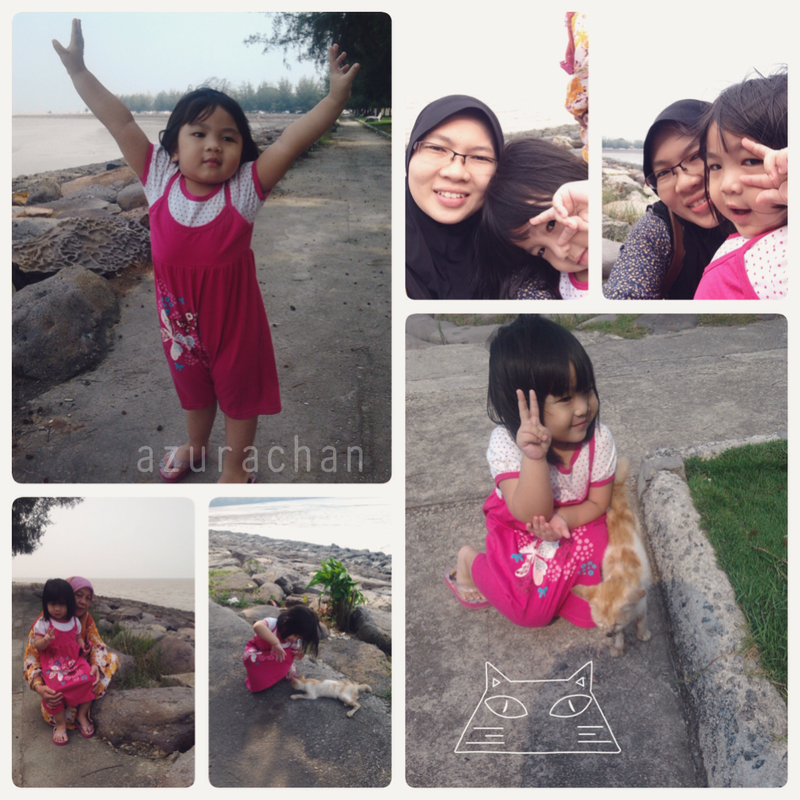 On the third day I went on strolling along the beach at Pontian. Can you see the very rare rock? It’s really weird and unique, don’t you think? The town is just a small area, about 40 minutes drive from the village. Amani really excited to see the sea. While walking along the path, there was a strayed cat approached her. The cat followed her everywhere. It was a cute cat indeed. 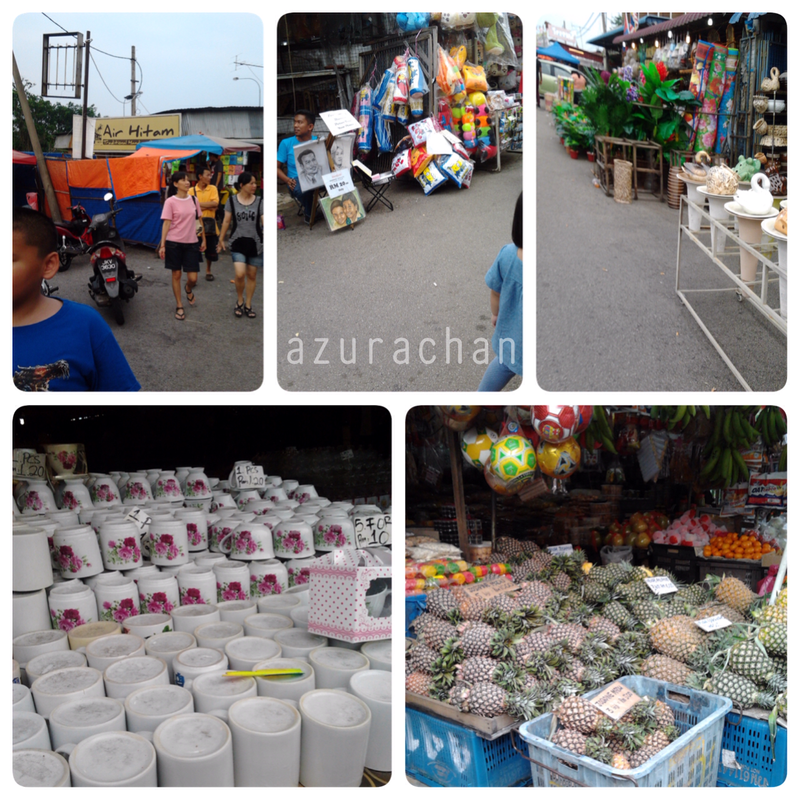 After spending the morning walk along the beach, we went off to Johor Bahru. Stay tuned for our next journey in Part II. I am on vacation mode at the moment. 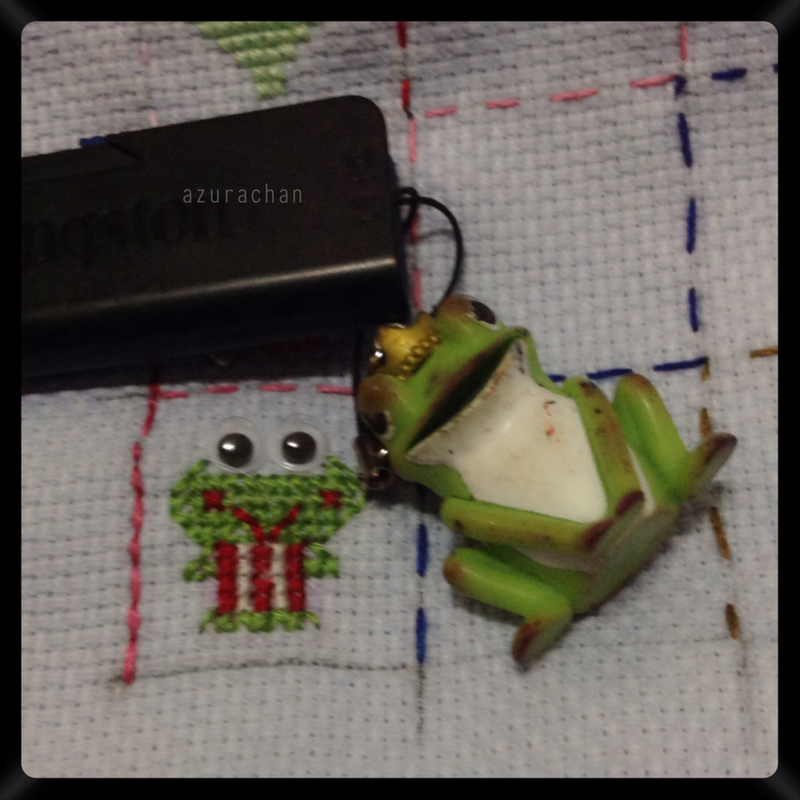 Sorry for not updating any post in here and no blog walking for the time being. Will catch up with you later!